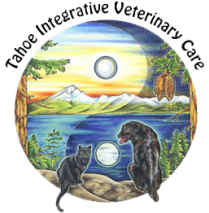 At Tahoe Integrative Veterinary Care, we offer an individualized vaccination program designed specifically for your pet. Dr. Robinson takes into consideration your pets’ health, age and risk factors when she designs your pets’ vaccination program. TIVC also offers vaccination titers right here in our Truckee Vet clinic. Vaccination titers are a simple blood test that measures the level of antibodies in the blood against specific diseases. When antibodies are present they should ensure protection and there is no need to re-vaccinate your pet for the specific disease being tested. If antibody titers are absent in the blood for a specific disease, your pet should be re-vaccinated unless there is a medical reason not to do so. We are very judicious in studying the proper vaccines, levels and regularity for your pet to ensure their long-term optimal health.